I wanted to get back to you to let you know that I have now used all 3 products to clean, color and waterproof my car's rag top. The "before" and "after" condition is striking. I am quite pleased with the way it all turned out. The top used to be tan. I had previously colored it using another product line. The color mostly held, though over time the original tan color began to show again = ugly. My thought is that your cleaner, which claims to remove any waterproofing from the fabric, made it possible for the coloration to be absorbed. The top is now a contiguous black color and looks great. While it has only been a couple of weeks it seems more stable than the other product was able to accomplish. Additionally, there is enough of all 3 products left over for me to do another application (or 2) in time. 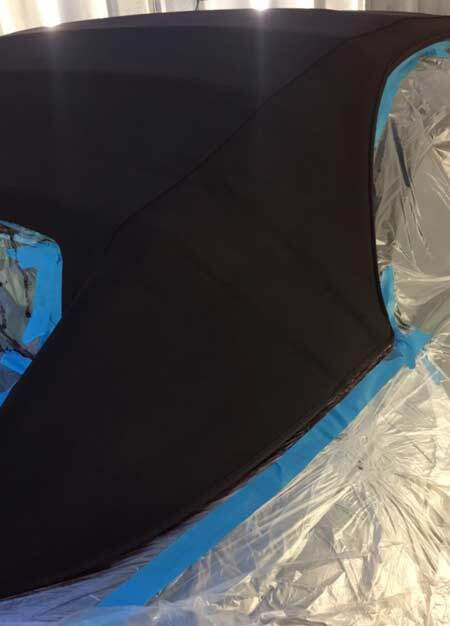 “Thank you for the fast shipping and the great product, works very well, am going to post it on your website, the before and after pics, because I changed the colour completely from grey to black. 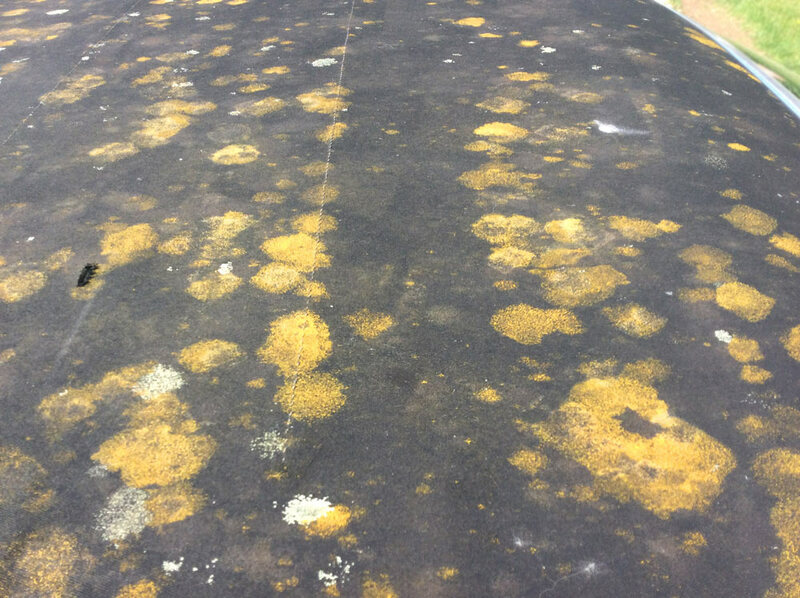 "Roof deep cleaned numerous times then recoloured and proofed all with our chosen @renovo_international_ltd products. 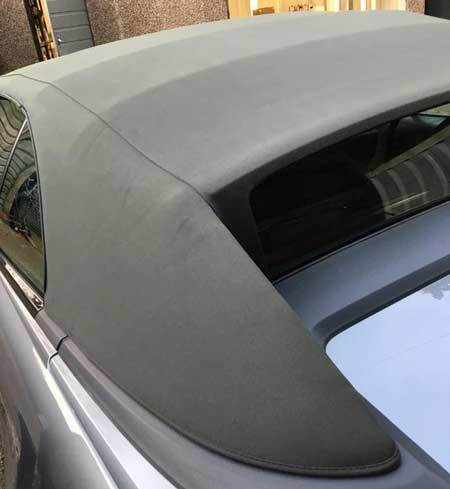 Leicestershires best and longest established quality detailing service provider Beau Technique." Following your instructions, I vacuumed and prepared the carpets. 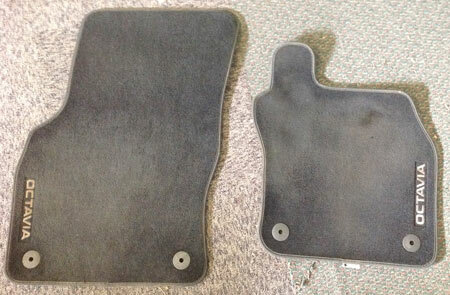 They weren't too bad but after a soggy winter, my carpets seemed to turn a shade of grey, a bit like tyres can do. I also masked the "Octavia" section with tape and hey presto, a few minutes work and lovely, clean, fresh and BLACK carpets! Better still, my misses even commented about the fresh smell to the car. I hate a dirty interior but the cleaner really does lift the ambience. Happy bunny! Skoda doesn't do a modern convertible but I have a couple of friends with convertibles and I'll have no hesitation in recommending Renovo products to them. 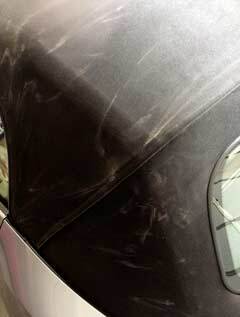 You might be interested to know that as I Iive in Abu Dhabi, the hood of my Audi gets a regular sandblasting. I have used your product once already and am pleased to tell you that it greatly improved the appearance of the hood. It has also made it easier to keep clean. I purchased the Carpet Ultra Proofer from you guys last week, after watching a video on your YouTube Channel, I was so pleased with the results, that I purchased the Interior Ultra Proofer today! Fantastic stuff, I have two small children, and often get muddy foot prints and dirt all over my carpets, but this product has made cleaning and protecting them MUCH easier! Look, perfect match. Very pleased with your product. 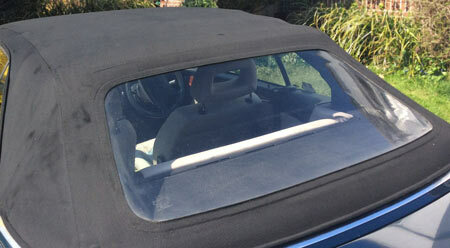 I have just done the roof of my soft top which was in a mouldy condition! After using your products it is like new... amazing! Wish I had taken a before and after picture! 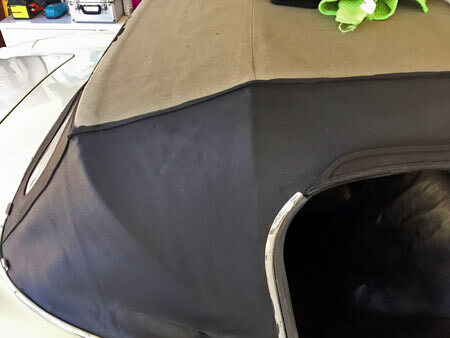 Back in May you supplied me with a litre of Hood Ultra Proofer and that was duly applied after a preliminary vacuum, use of a cleaner and vacuuming again. 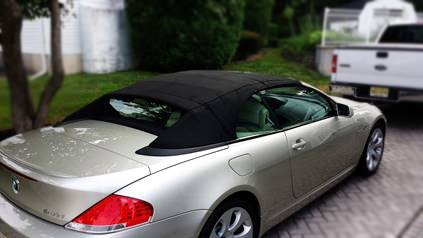 My BMW convertible is now 12 years old and still has its original hood. That has been re-proofed 3 times previously during my years of ownership. previously I have used BMW's own cleaner and 2 different styles of proofer, first and aerosol and then a solution for diluting and applying with a sponge. The latter was very messy with lots of run-off to clean away afterwards. I'd like to say that the Renovo product was much the most convenient to apply as a brush on and the minimal run-off was controllable with a wet cloth. best of all the result is tremendous as judged by the obvious tendency of rainwater to form droplets on the fabric and then run off. That little "trial" seems to me to leave the proofer crown fairly with Renovo! Thank you. And I must say, this product lived up to all the claims. 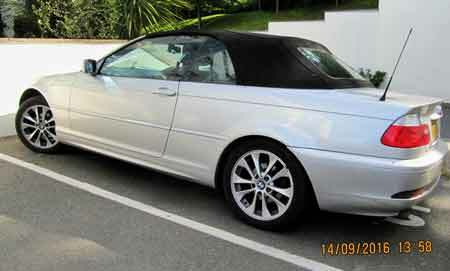 Although my top ('06 BMW 650i) wasn't in very bad condition like some of the website photos, the results were amazing. Friends thought I got a new replacement top. It's now nice to know I can make this top last the life of the vehicle with your product. Hello, I recently ordered your mohair soft top cleaner, colour and re-proofer. 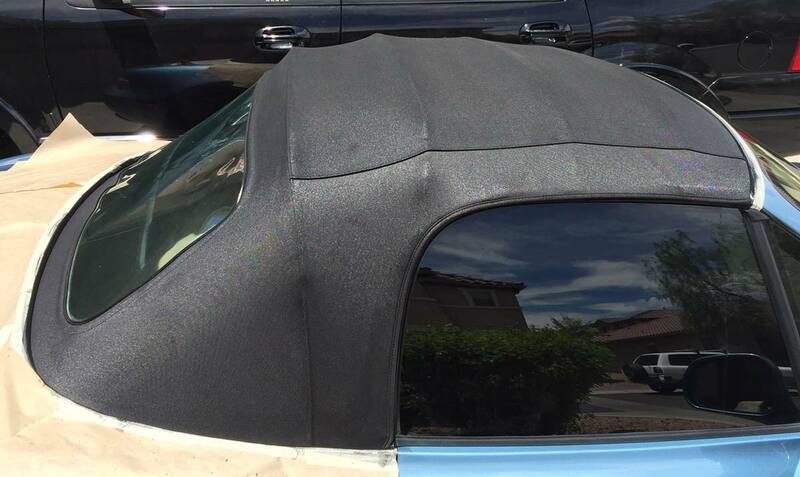 After trying several products on the market I had begun to lose hope of ever seeing my hood look good again. 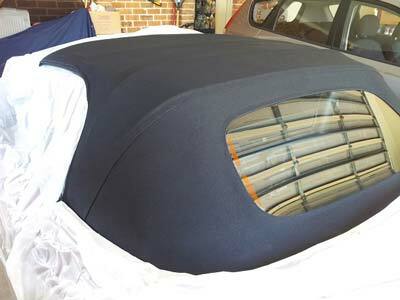 I just wanted to say I am delighted with the results of your products, my hood now looks brand new again. Thankyou so much for this superb product, I'll be recommending this. I have a Jaguar XJS convertible-1989 which lives outside under a cover. 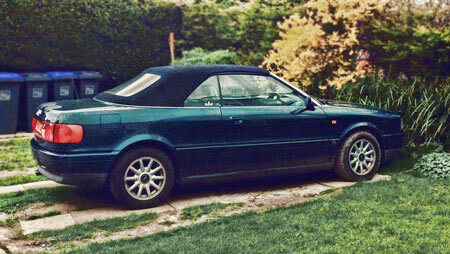 It still has its original hood, looking pretty good, thanks to occasional revival with your soft top treatment. My car is now ten years old and has been kept outside for the last 7 years. 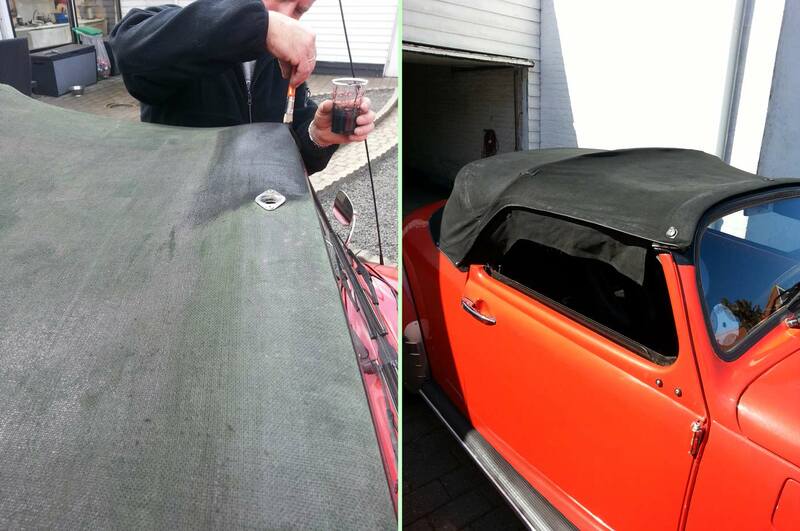 Using Renovo Soft Top cleaner and Ultra Proofer regularly has kept it in great condition. Application is straightforward and quick. Thoroughly recommended. Used the black Leather Reviver product yesterday and VERY impressed with it. The interior of the X5 (black leather) took about 66 per cent of the pot. I like the way it goes on and the fact it covered a few minor scratches including an irritating one on the steering wheel. I left it for about 30 minutes and then buffed it. No 'rub off' or any other maladies. EXCELLENT product. 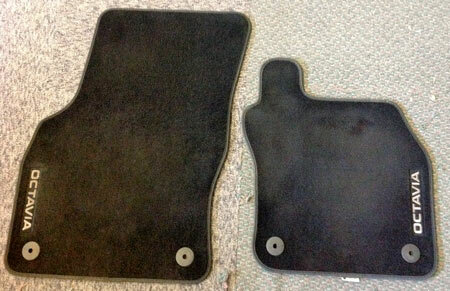 Oh and this morning the car smelt all new and leathery again! There are a lot of enthusiastic feedbacks in your website about your products and how good they are, therefore I don't think you need a further testimonial. 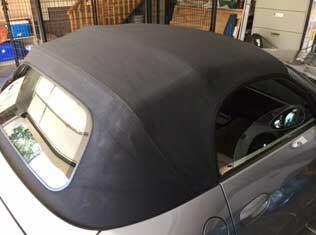 I only want to stress that Renovo products (either Top Canvas Cleaner or Soft Top Reviver as well as Ultra Proofer) are very easy to clean from trims or car's body and glasses: this makes all the work very comfortable (I did it without spending hours in masking all the car), safe and easy to get a great result. See you next year for a new treatment. 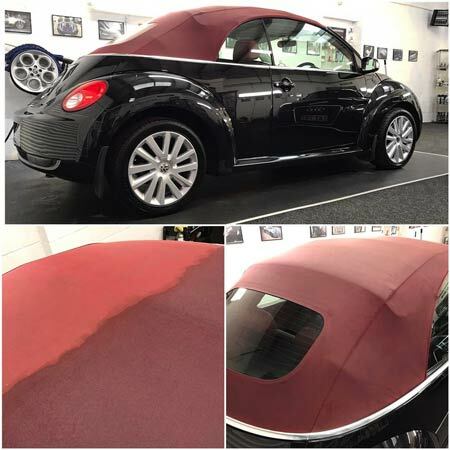 Just wish to show you how well your product is..... Below is a photo of my VW beetle with product applied and tested with water and as you can clearly see it is and will be fantastically protected in the future. Thank you for a producing something that really does do what it says it will do. I didn't quite finish my roof --- but a good example of your product. I had GREAT success with the 3 stage product kit from Renovo. 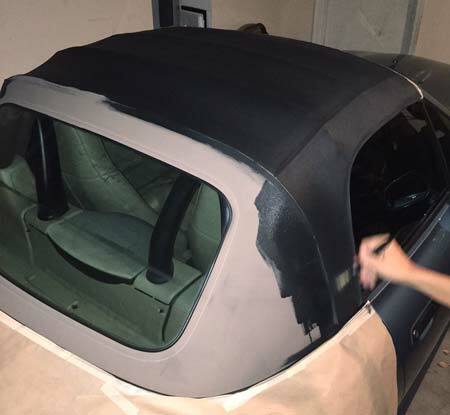 We took an originally light tan soft convertible top on my wife's BMW Z3 and switched it to a deep vivid black! Saved us hundreds from buying a new top! We used the cleaner/ stripping agent first (tons of dirt water extracted). Then 3 coats of black over the course of 1.5 days. Then 2 coats of the clear UV/ H20 protectant 24hrs later. We immediately took the Z3 tons local car show and received compliments all over the place from people that knew the car before when it was tan. Even compared it to a Z3M that was all black and ours was a "deeper" black! 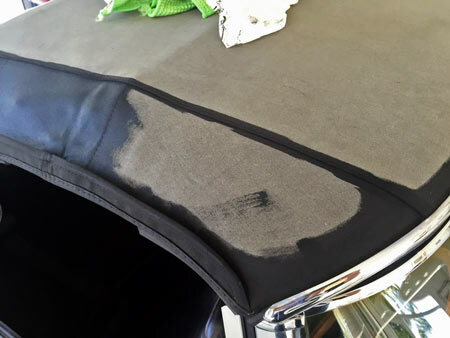 Please Note: Renovo soft top reviver was developed to bring back the original colour, and any attempts to change a soft top's colour has risks attached. 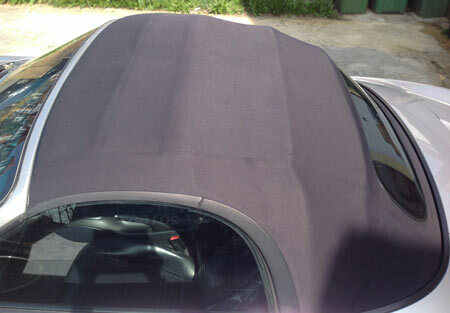 Please contact Renovo for further advice on changing the colour of a fabric soft top using the Renovo soft top reviver. I used Renovo on my 67 E Type and results are amazing! A very sun faded top has been transformed into an as new finished top. Not many products deliver on their promise like this. I applied 2 coats and plenty of product left for future refreshes. 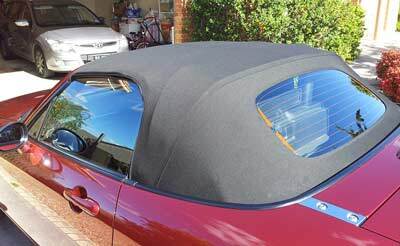 Yesterday I used Fabric Soft Top Cleaner and Ultra Proofer on my BMW Z3. The results are fantastic. I definitely recommend these products to anyone at any time. I doubted that any cleaning process could save my 20 old year soft top, it looked too far gone. 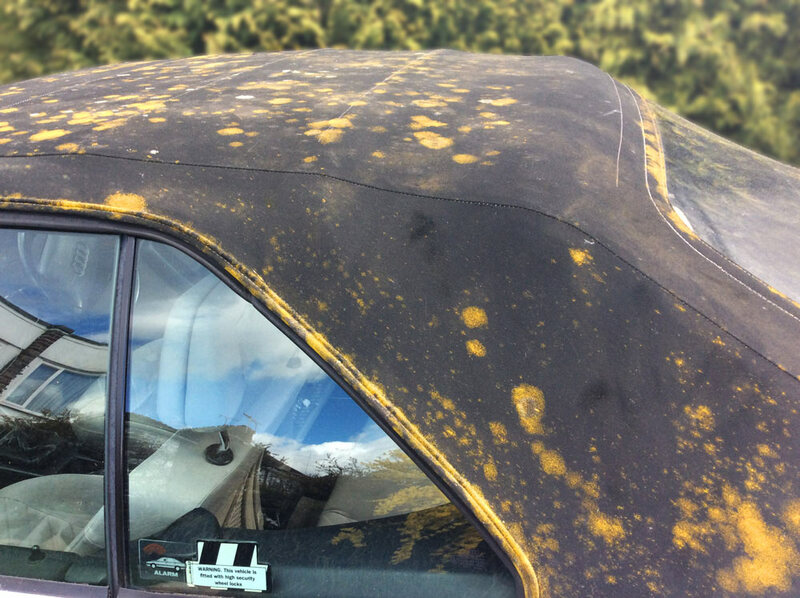 The stains and mould growth were just awful from years of being parked beneath a tree. But I decided to give Renovo a try. The result is truly stunning the roof looks new. The process is a complete renovation, all stains are removed with the cleaning solution which I applied and left on to do its work for the maximum recommended time [about an hour]. I then scrubbed with a nail brush and hot water which raised the thick green mould and bird dirt to the surface. Then rinsed thoroughly. When left to dry the top was completely clear of stains just fantastic!! The second part is like a dying process applied with a brush and evens out any faded colour. Finally a water-proofing solution which actually worked after one coat, the second coat quite difficult to apply being repelled by the first. 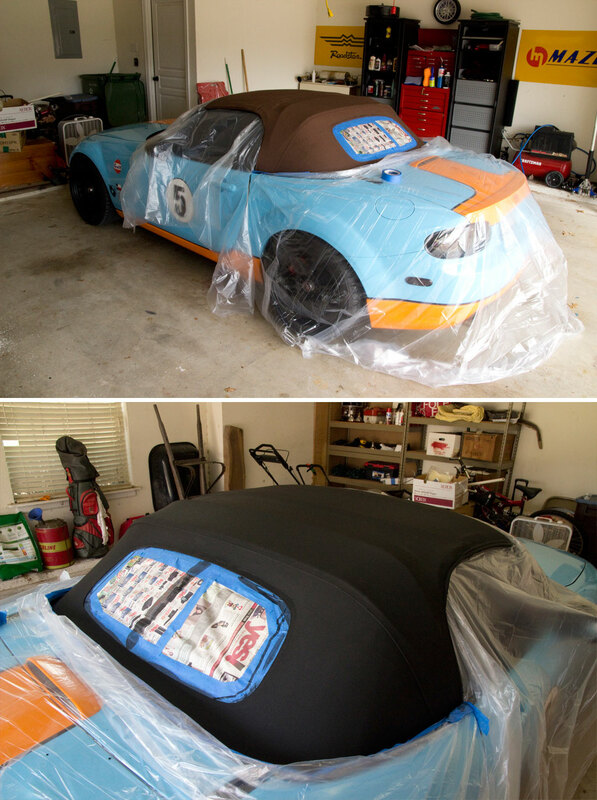 Not only has the soft top been saved but also the car which is probably worth less than the price of a new top. 5 stars are not enough for this product. Just brilliant!!! Am I glad that I read in the Telegraph motoring section a reply, by Honest John, to a question posed about soft top cleaning. 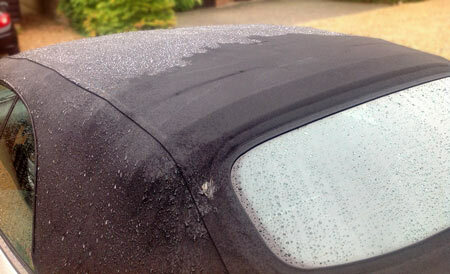 I bought my Boxster last year, the roof was quite badly stained. I have tried various products to no avail. Having, now, applied two coats of cleaner, two coats of dye and one coat of weather proofing, I think you'll agree that I made the right choice by using your products. A very very satisfied customer! I just apply your product on a hood AUDI A4 in it was leaking. 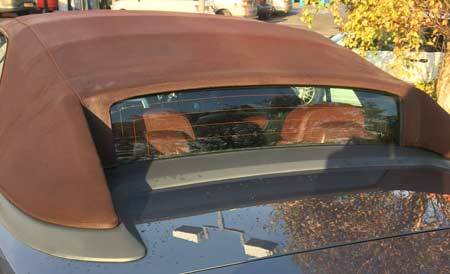 The hood is heavily damaged by mistreatment of use and maintenance. I applied twice your product over the entire surface of the hood, not expecting that the first coat dry completely. I did it on purpose so that the two layers properly absorb the product. This morning I put the vehicle outside because it rains all day. From time to time, I'll check and it is still dry inside! Let me congratulate you on the quality of your product really works. My client is very happy because he wants the top is tight since it has no garage to protect it. 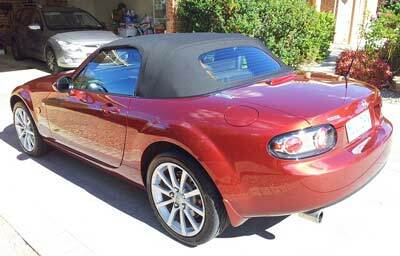 I have used Renovo soft top product on my soft top from 1983. It was faded to an ugly green shade. I now have a beautiful black soft top again. 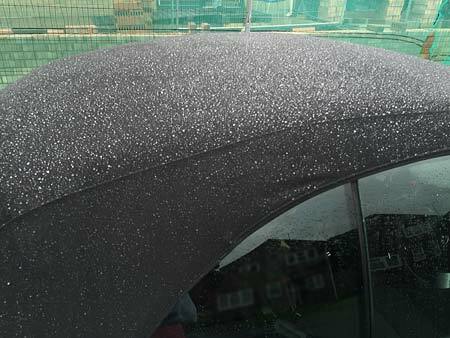 This has saved me £1000, as I can now wait a year or 2 before buying a new soft top. I highly recommend trying this product, before investing in a new soft top. I was a little apprehensive about changing the colour of my top. It was in good shape, aside from some fading and some unsightly adhesive stains coming from underneath the fabric (common issue). I loved the brown when I bought the car in 2008, but always secretly wanted black. I did not want to spend the $600 plus on a new top because the top is still in a very functional state. After researching Renovo I decided it was easily the best option for me. 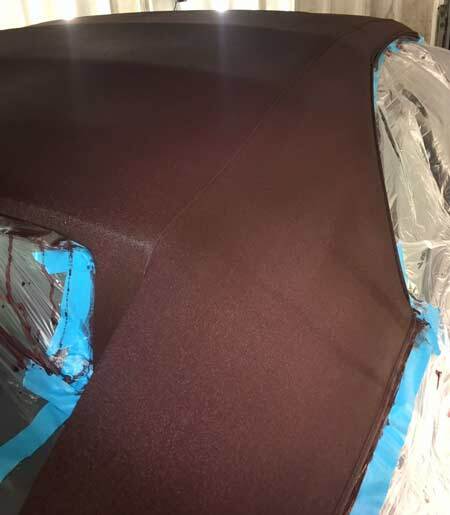 There is a lack of info on forums regarding the complete refinishing system, so I've posted on 3 or 4 different forums here in the states to help spread the word. I'm very pleased with my results. That's what you call great service, I ordered 1 litre of black reviver that you shipped on March 18th it arrived today in Christchurch NZ, March 25th. Thank you very much, will definitely buy again. What a fantastic product. 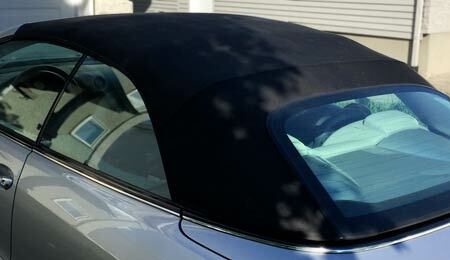 The soft top of my 2006 Porsche was turning green with mildew & algae. 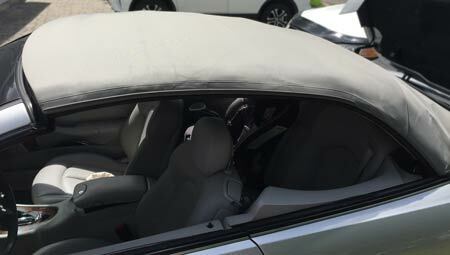 The products of another famous brand had not made any difference & I was worried that the soft top was beyond recovery. How wrong was I and how lucky was I to find Renovo?The result is absolutely stunning & proof of the effectiveness of the waterproofer is that today the is rain is sitting in globules on the roof, so impervious is the product to water. Bought your Cleaner, Reviver and Ultra Proofer and the results are fantastic. The cleaning was a bit hard due to the state of my roof but the results where well worth the graft!!!! 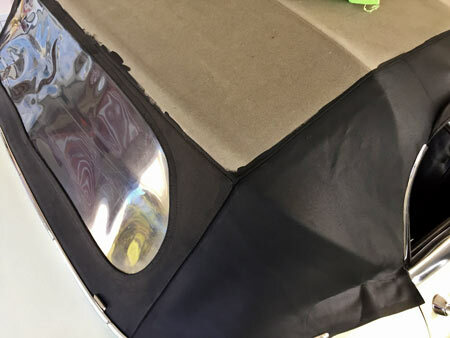 I’m amazed I needed the plastic glass replacing on my MGTF but the cost put me off, then I heard about Renovo hood plastic cleaner so I bought the best. It's brilliant, the glass is like new, it even worked on my 1953 Land Rover, I can highly recommend your product, it’s the best. 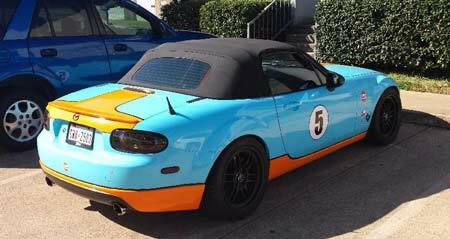 Just used your RENOVO Canvas Cleaner, Reviver and Ultra Proofer over Easter 2013 on my 2006 Mazda MX-5 NC after someone from the Mazda MX-5 Australia club recommended a try. And I was BLOWN away! 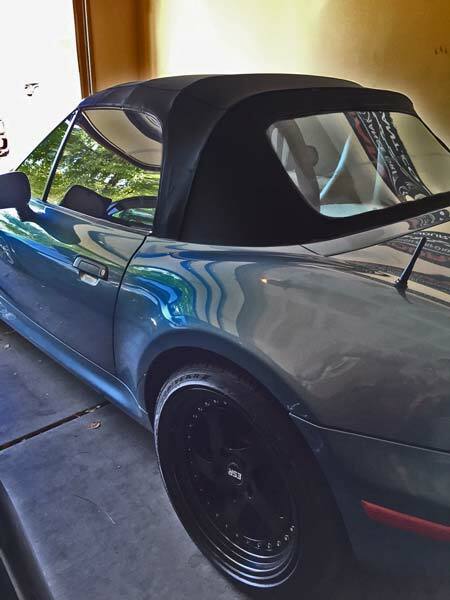 !Totally like a new soft top. 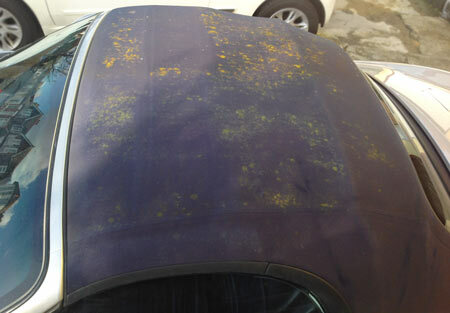 The fading and white patches which was on the soft top magically disappeared after treatment. The step by step guide on your website was very easy to follow. This is my third MX-5 I have owned and should of known and used RENOVO earlier, totally amazing!! 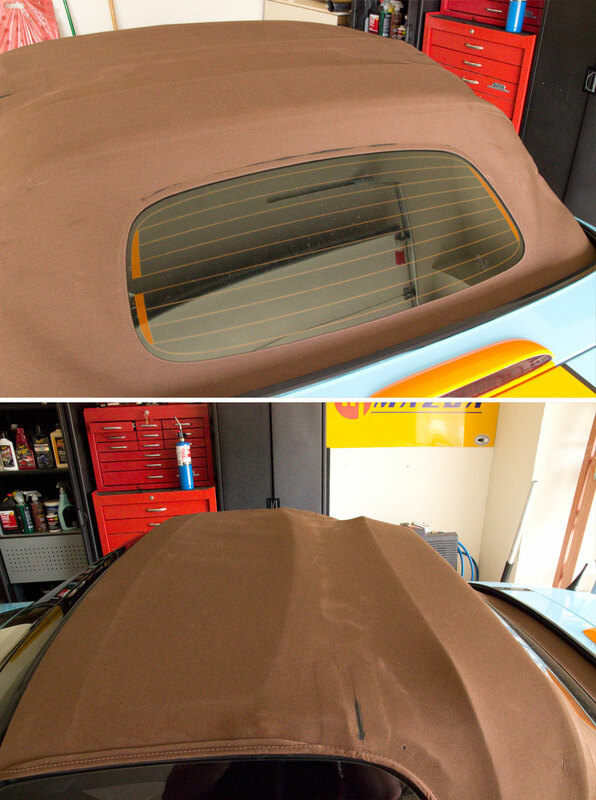 I received my Renovo plastic window cleaner Monday 11th March used it on my BMW 2002 Z3 on Thursday 14th. I can see out now. Brilliant, would recommend to anyone, does what it says. 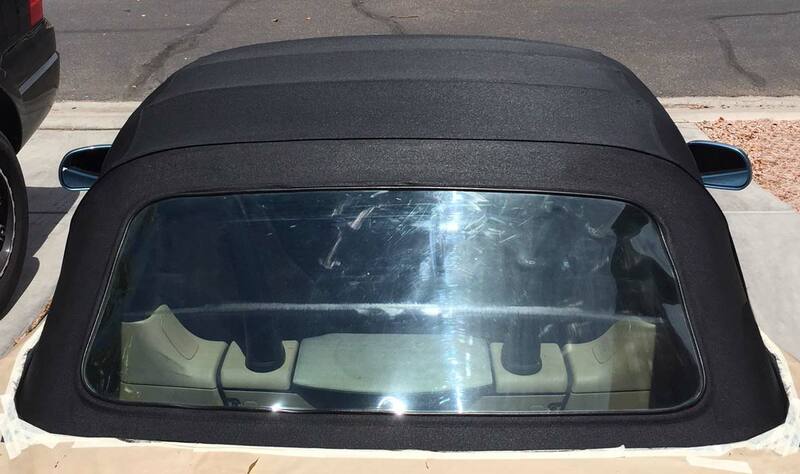 I have for some years used the plastic window polish on my Alfa Spider and the results always amaze me. 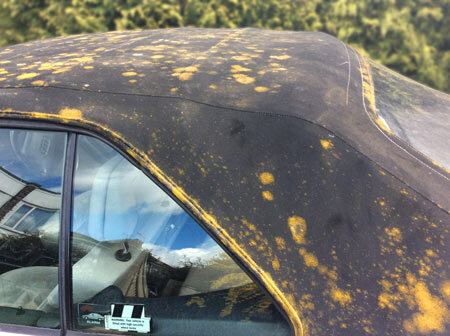 I have just used your Fabric Soft Top Cleaner and cannot believe the results. 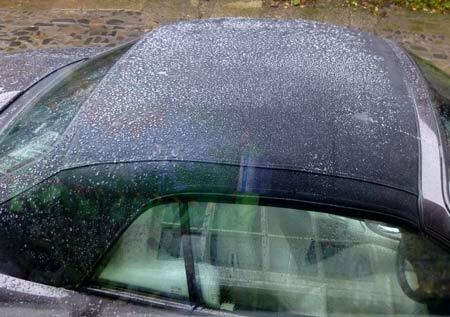 I am a fanatical car cleaner and I thought the roof was spotless. How wrong was I. The dirt that came off my spotless roof using your cleaner amazed me. Thank you once again Renovo.